ONE DAY ONLY--GET UP TO 50% OFF! This month has been busy with one kid graduating, the other kid on a different schedule the next couple weeks after that to finish the school year, and the graduating kid getting injured on the job. To top it off, my sweetie is having severely limiting back troubles--aaargh!!! So, to meet my sales goals for the month, I am offering an ADDITIONAL 20% OFF ALL MAY 30% OFF SALE ITEMS for today only (excludes Starter Kit). You'll find ALL the qualifying Sale Items HERE. 2) Use my ONLINE ORDERING SITE and pay full price, then receive your additional 20% off via a rebate check, mailed 10-14 days later. Your credit card information is encrypted using this method, and I never see it. PLEASE NOTE: if you wish to order Digital Downloads you must use my Online Ordering Site, and orders for Professional Print Services must be placed through your My Digital Studio software, with me as your demonstrator. I will take orders by phone today (May 31st) until 9pm Mountain Time at 719-205-5957. Online Orders must be finalized by 11:50pm Mountain Time to count for the rebate. If for any reason your card cannot be processed for your order by the deadline, your order will not be placed, and this offer will not be extended. 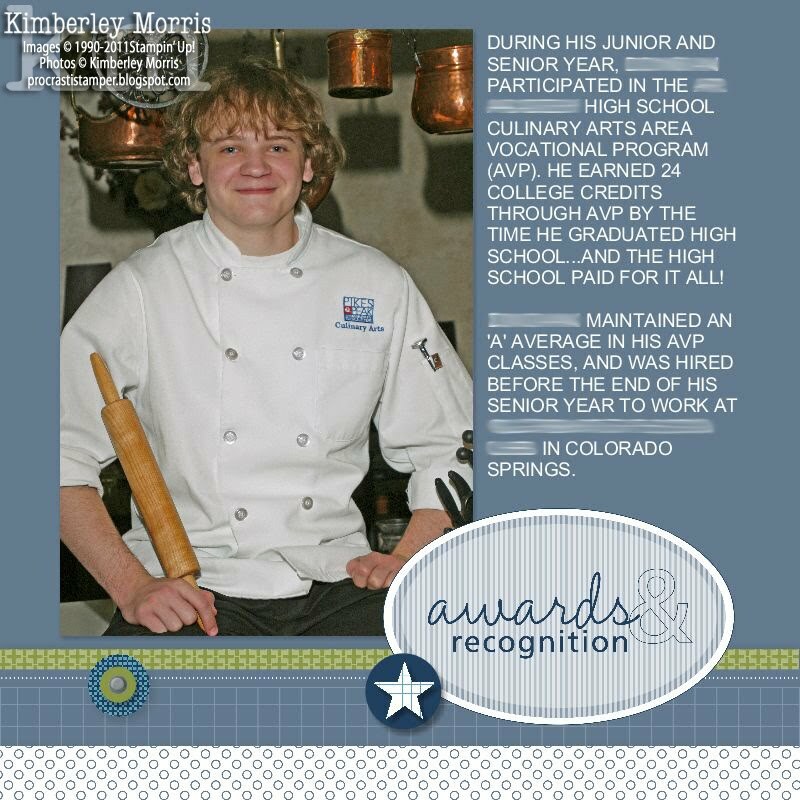 This promotion is personally offered by Kimberley Morris as an Independent Demonstrator, and is only good for orders placed through Kimberley Morris (by phone or online), in accordance with the terms outlined above. Stampin' Supplies: My Digital Studio, 2011 Leadership Digital Kit. FYI: for every purchase of the Strength & Hope stamp set (in wood mount or clear mount), or the Strength & Hope Digital Kit, Stampin' Up! will donate $2 to the Breast Cancer Research Foundation! Stampin' Supplies: My Digital Studio, Strength & Hope Digital Kit, Top Note Shape Digital Download, Basic Pearls & Rhinestones Digital Download. Seriously, if you'd love to scrapbook (or create your own cards!) but just don't have the time, and/or space to store a bunch of physical product--you NEED to BUY My Digital Studio, or BUY My Digital Studio Express and then customize it with your favorite Digital Downloads, including templates for premade projects...so you can CHEAT like me! For a really great deal, Become a Demonstrator during May and get the Digital+ Starter Kit at 30% OFF. Stampin' Supplies: My Digital Studio, Leadership 2011 Digital Kit. I know what you're thinking: "Doesn't this girl ever design a page that isn't blue???" Obviously blue is my favorite color. And you also want to know: "Doesn't this girl ever make pages with anything but My Digital Studio???" Really, I'm trying, I promise--but there's something so appealing about using as many embellishments and as much card stock as I want, and never running out! Plus, I am being super lazy again, and using a premade template...with a few minor modifications. 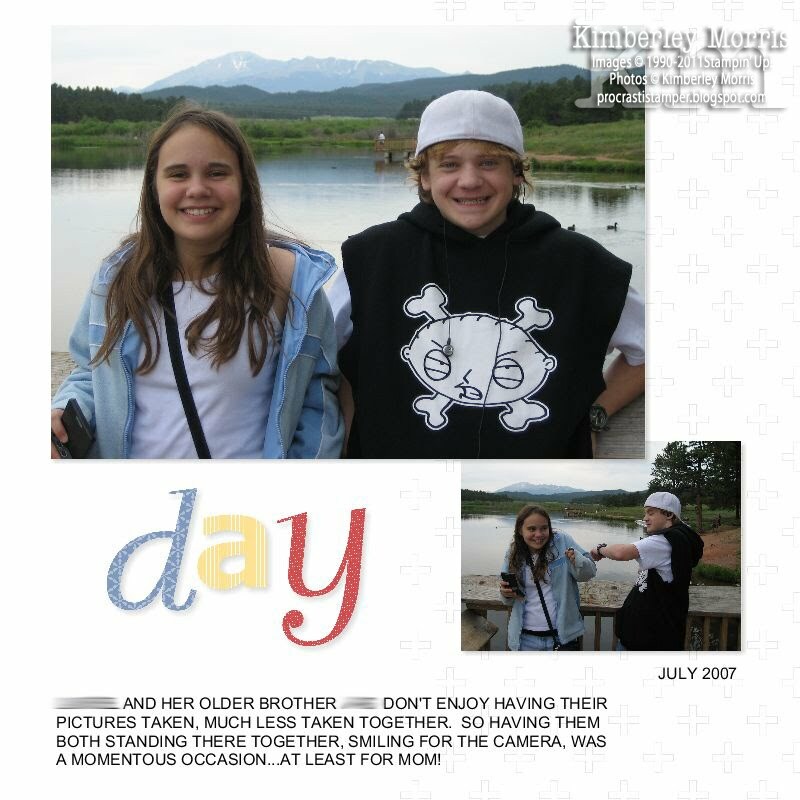 This layout is a page from the Happy Birthday 8x8 album that I altered. Stay tuned for more scrapbooking as my Page a Day in May Challenge continues. Stampin' Supplies: My Digital Studio, Lots of Tags Shape 1 Digital Download. I'm catching up on my Page a Day in May Challenge...these three pages should bring me up to date. Don't hate me because I can make awesome pages in minutes--you can too! 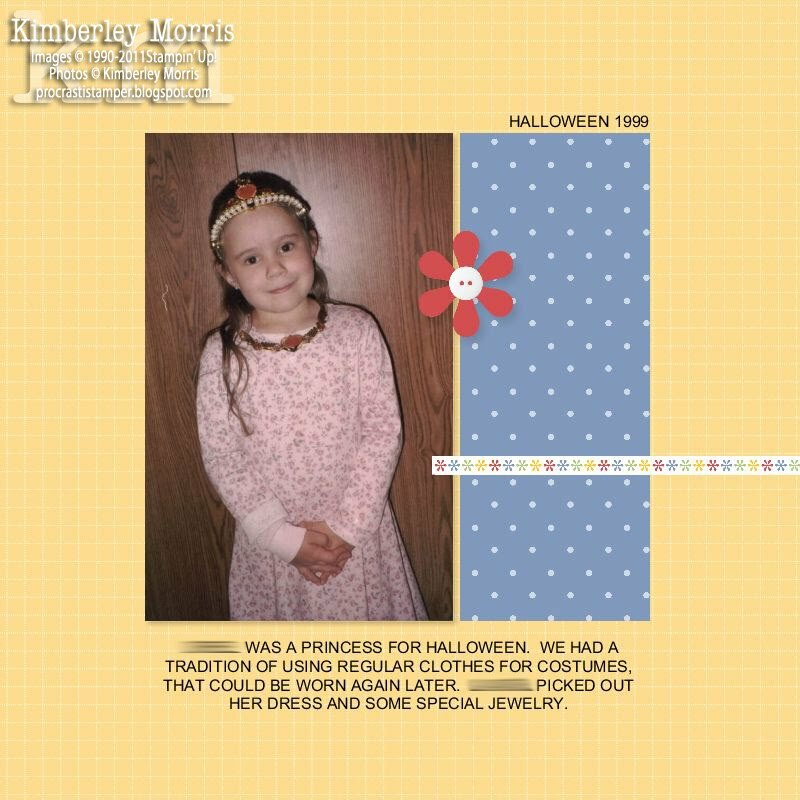 I'm once again using a premade album template in My Digital Studio. It's the Digital Download for our 2011 Leadership Conference. I did not go to that event, but I LOVE the colors. Again, I'm just taking out anything too flowery and adding other embellishments in their place. I am soooo excited to get some albums done and sent off to be professionally printed during this month's 30% OFF SALE! NOTE: Click on any image to view it full-size. Also, don't mind the smears, I've redacted some info for my son's privacy! The smears only appear on these images, not on the My Digital Studio project files. Stampin' Supplies: My Digital Studio, 2011 Leadership Photobook Template Digital Download, Go Go Graduate Plus Digital Download, Flag Punch Digital Download, Thoughtful Overlays Digital Download. I've gotten a late start on my Page a Day in May Challenge, so I'm posting yesterday's page today. The subject matter reflects the cause of my tardiness! This past weekend it was like having a newborn baby again...sans childbirth. My kitty (Sneakers) hurt his leg somehow, and I had to carry him around to eat and potty over the weekend. The vet says it's probably just a bad sprain, and to baby him a couple more days to let him recover. Poor Kitty. This page is part of a Designer Template, which comes as a 12-page Summer Home album template in My Digital Studio. 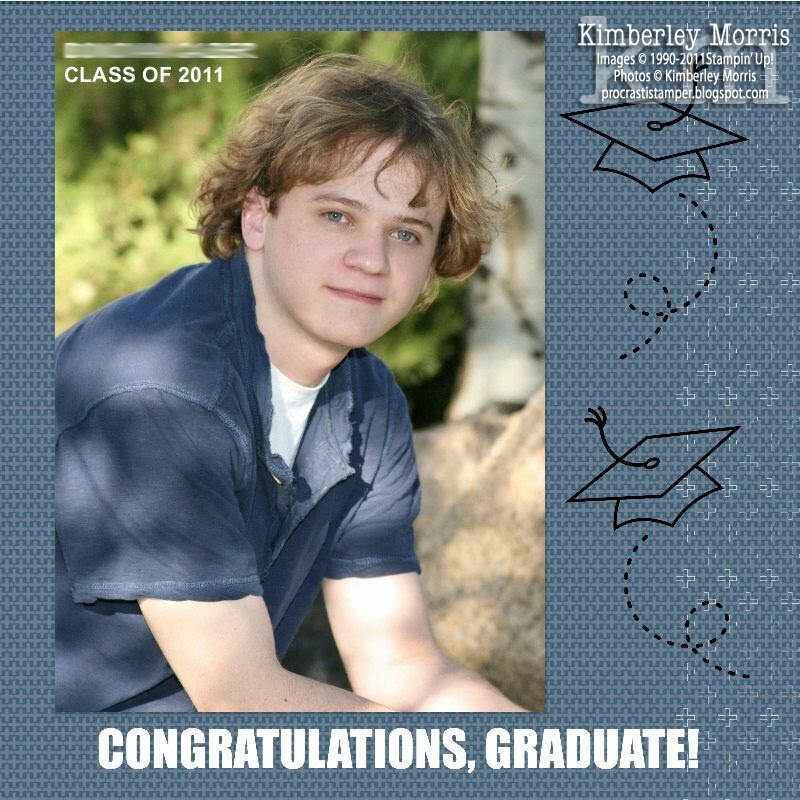 I really like the colors in this template, but not the flowery embellishments. So, I just took out the flowers and added some clouds from the Sunset Serenade bundle instead. It's SOOO easy to put together an album like this! Stampin' Supplies: My Digital Studio CD, Sunset Serenade Stamp Brush Set (available as part of the Sunset Serenade Digital Download Bundle, on sale this month!). WOW, there is sooo much going on this month! 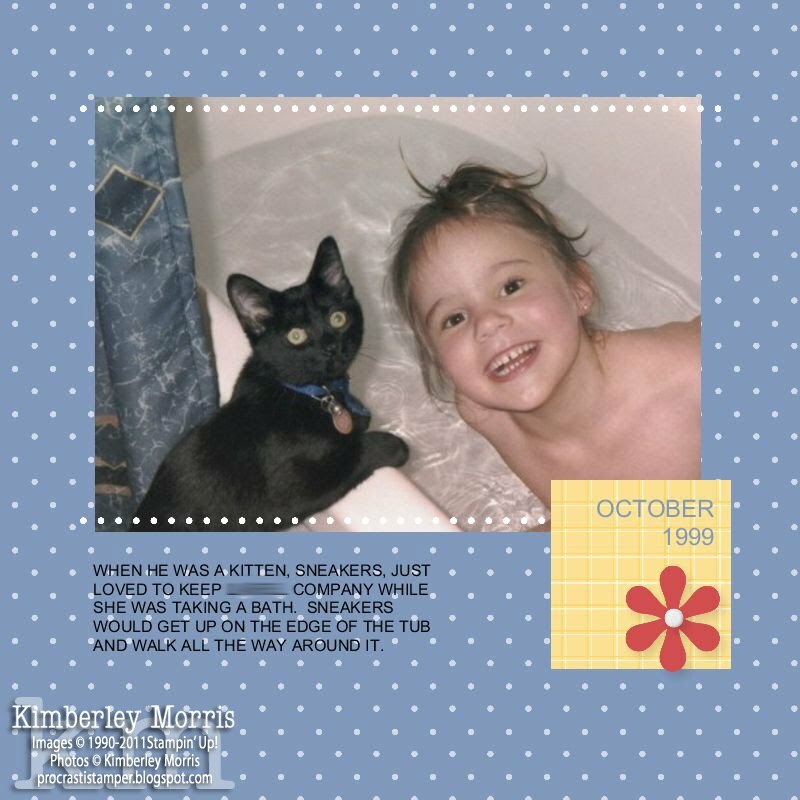 This post is going to focus on the National Scrapbooking Month Specials. First, we have a 30% OFF SALE on select stamp sets and special Digital Download Bundles. 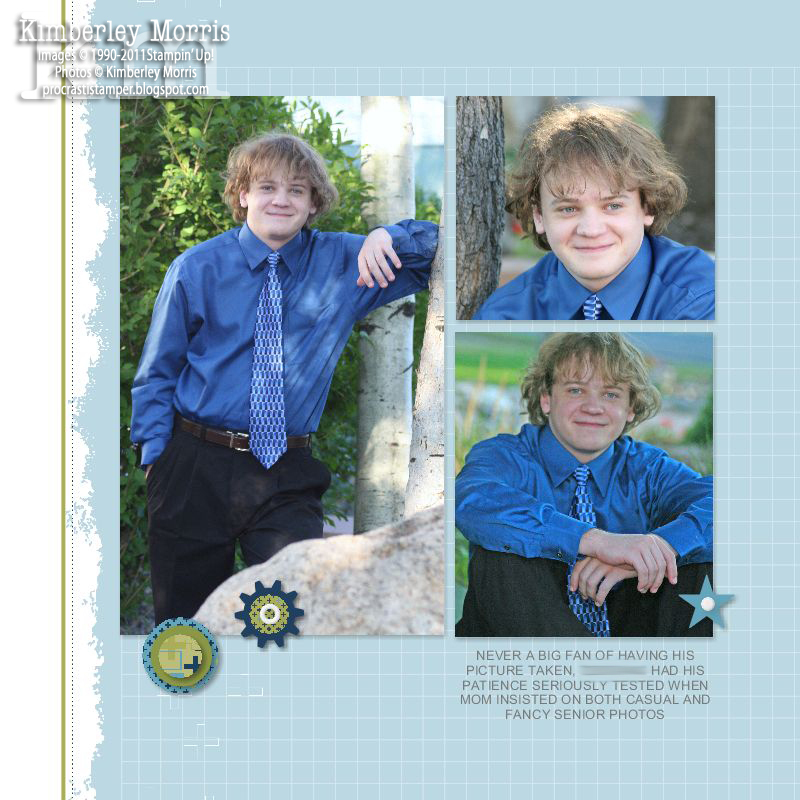 Then, there's a 30% OFF SALE on select My Digital Studio Professional Print Products. This is an AWESOME time to crank out some digital pages and albums, and get them professionally printed for phenomenal prices!!! There is no qualifying purchase necessary, just buy anything on the list(s) below and get 30% OFF! Click HERE to shop for Digital Downloads* & More! (*Digital Downloads must be purchased through my Online Store. Physical purchases may be combined with any Digital Downloads order online, however, Digital Downloads may not be ordered from me anywhere but my Online Store. As always, please contact me prior to ordering or signing up to Become a Demonstrator, if you have any questions, or would like some tips or suggestions. This mini catalogs debuts a completely NEW type of free Hostess product. It is a DIGITAL CONTENT CD called Cheerful Treat, available as a Hostess Level 1 set. 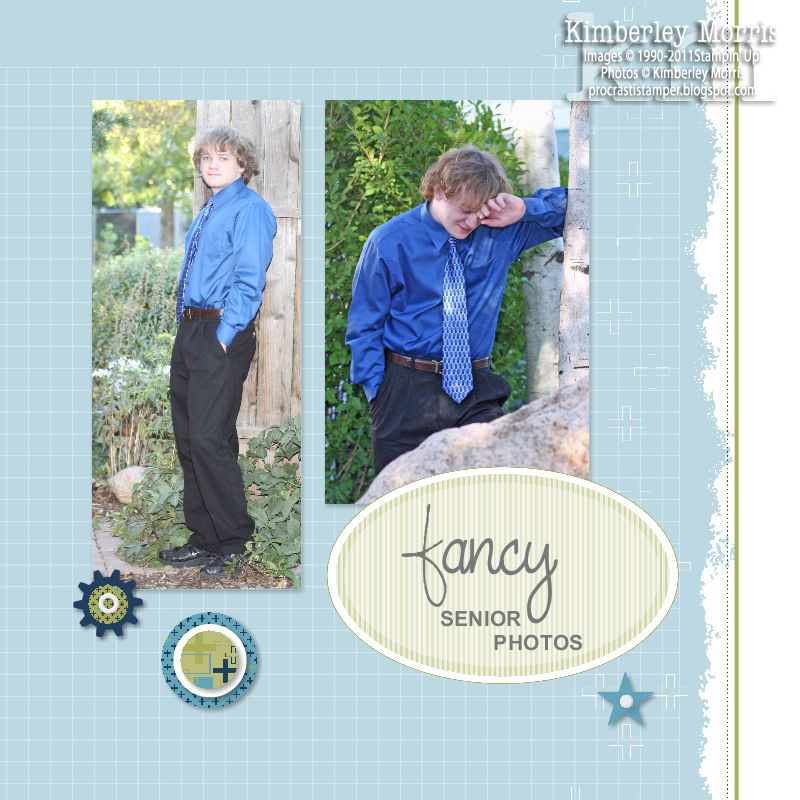 The digital content includes a 12-piece stamp set, 12 Designer Series Papers, and 30 embellishments. Just have a Workshop with at least $150 in sales and this Limited Edition content CD is YOURS! 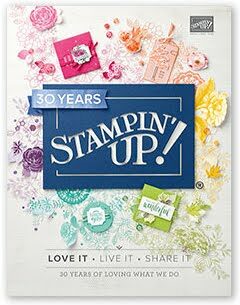 You could also choose the Swirls & Curls Verses Hostess stamp set starting at the $150 level, and the Level 2 stamp set Love & Care at the $300 level. Hey, if you have a $400 Workshop you can get BOTH stamp sets for FREE!!! These sets are ONLY going to be available for 3 months, so contact me to book your Workshop TODAY! Oh WOW, you have to see these to believe them. You can get THREE DIFFERENT punched pieces from ONE punch! I am normally not at all a flower-lover, but the Blossom Bouquet Triple Layer Punch looks so totally cute with the Bold Blossom stamp set that I had to get them BOTH! And we finally have a Postage Stamp Punch, and even a cute stamp set that coordinates. Okay, that's not what they're called, that's just my name for them. But this mini catalog has a FANTASTIC line-up of products that are just perfect to use for projects involving the men in your life! There are several nautical-themed products, and seriously, you can get a (stamp) set of ties for Father's Day! 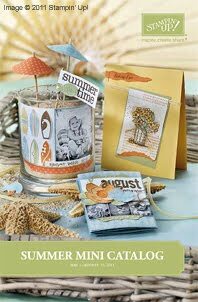 Of course, the Summer Mini Catalog has plenty of fun summer-themed stamp sets, featuring flowers and fishies, fudge-sicles and flip-flops, seashells and surfboards, etc. There's an awesome star-spangled banner flag stamp, and some fun school-themed sets including playground activities, the alphabet, apples, and crayons! Again, I am NOT a flower-lover, but I had to have the Flower Fest stamp set because it's so stinkin' easy to use, with all the punches that coordinate! 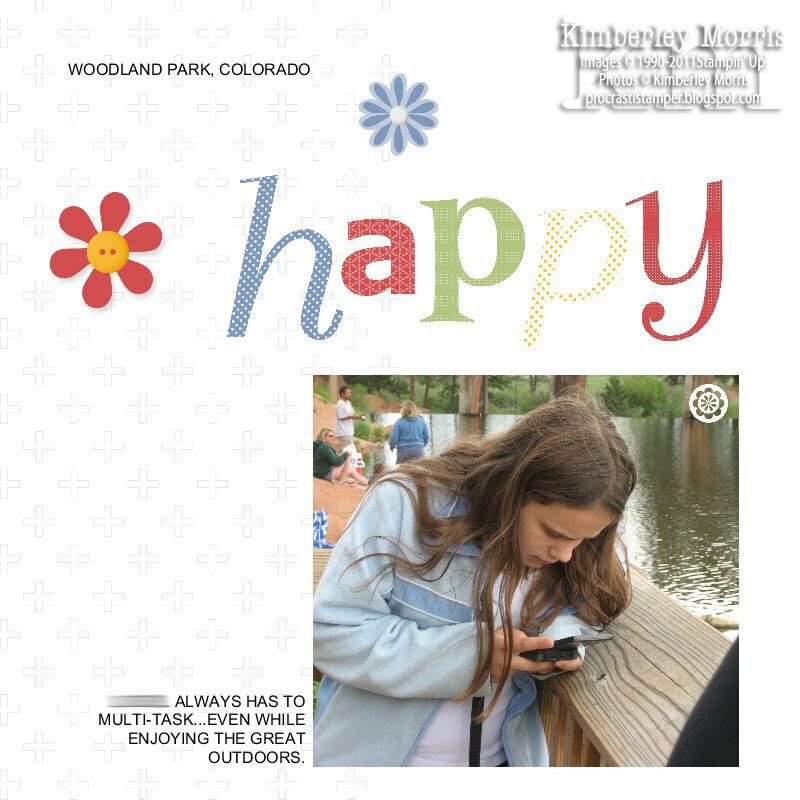 And I figured I could use it with the 6 different sayings in the Happy Greetings stamp set to make tons and tons of quick and cute cards (at the last minute, as always). You birdie-lovers are going to get a kick out of the Proud Peacock stamp set, and the cute little birds and birdbath in the Touch of Kindness stamp set, and there's even a cute little singing birdie on word 'hello' in the Swirls & Curls Verses Hostess stamp set! (If you don't get that reference, just Google Paul Harvey.) A few more notables in this awesome mini catalog are the Baker's Twine (in plain white as well as Cherry Cobbler and Early Espresso striped! 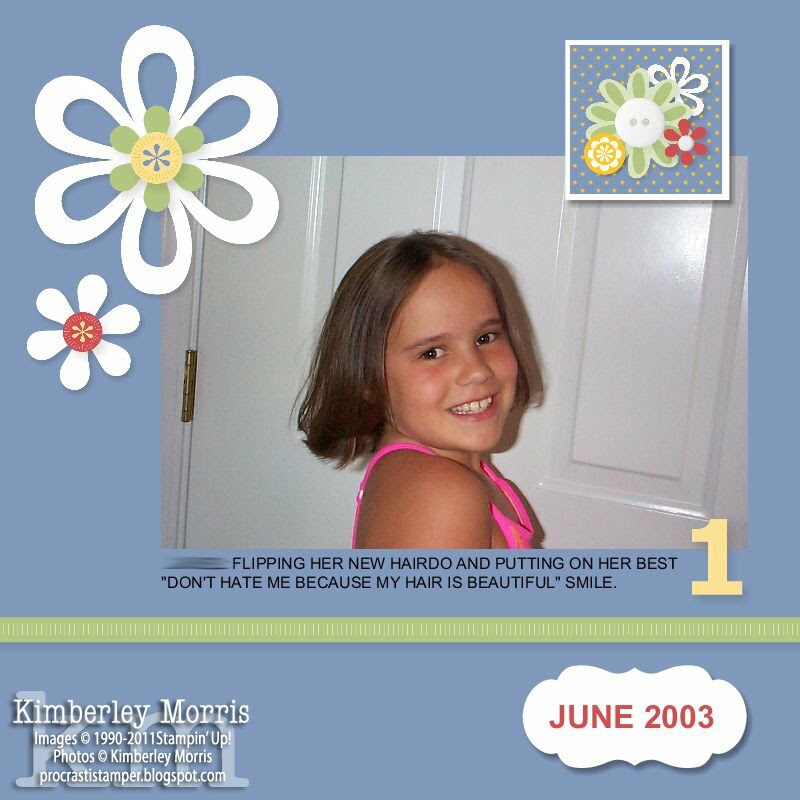 ); a travel-themed stamp set which includes a date/month image and a road map background image; and a Simply Scrappin' Kit in bright summer colors with tons of flowers and polka dots! I can't believe we have all this, PLUS our National Scrapbooking Month 30% OFF Specials in May, and a new Idea Book & Catalog coming out in July!!! 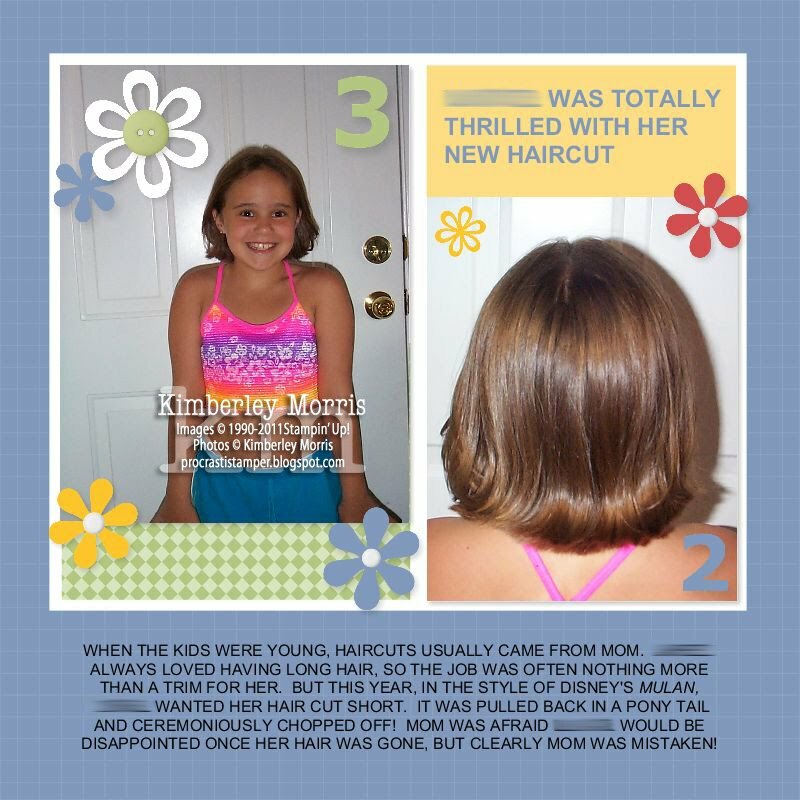 Click HERE or on the catalog image at the top of this post, and browse the 2011 Summer Mini Catalog, then leave me a comment below and tell me your favorite product(s)!